It’s so important to make sure what your putting on your face isn’t 3 week or maybe even months of old makeup! 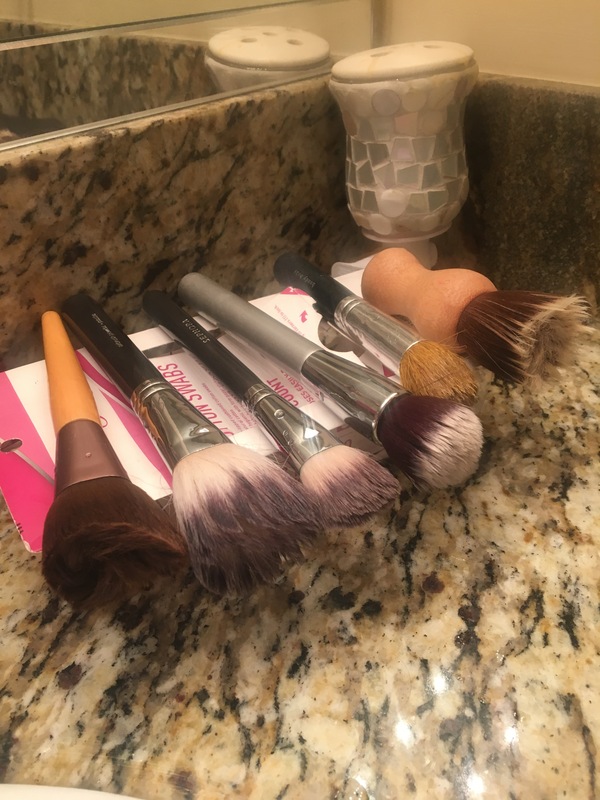 Here is the easiest way I have learned to clean my makeup brushes! 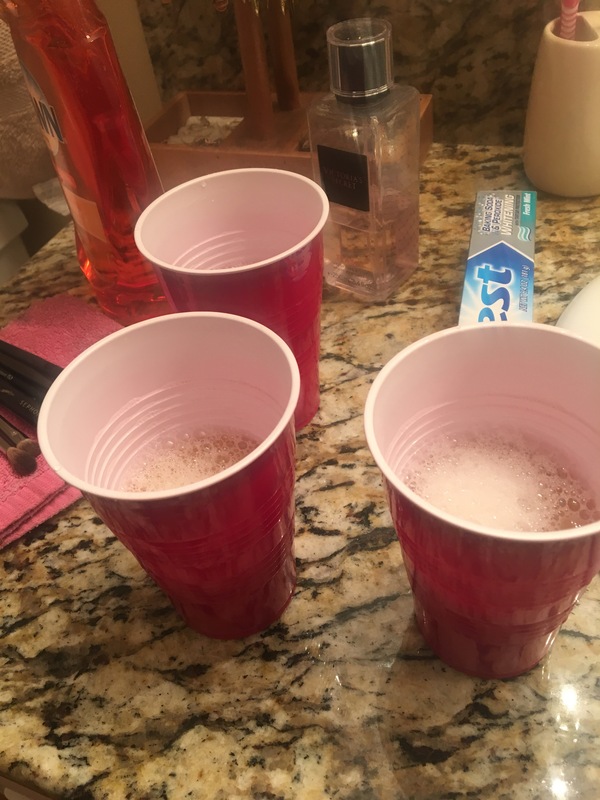 Step 1: get red solo cups fill them with warm water and add a few drops of dish soap. 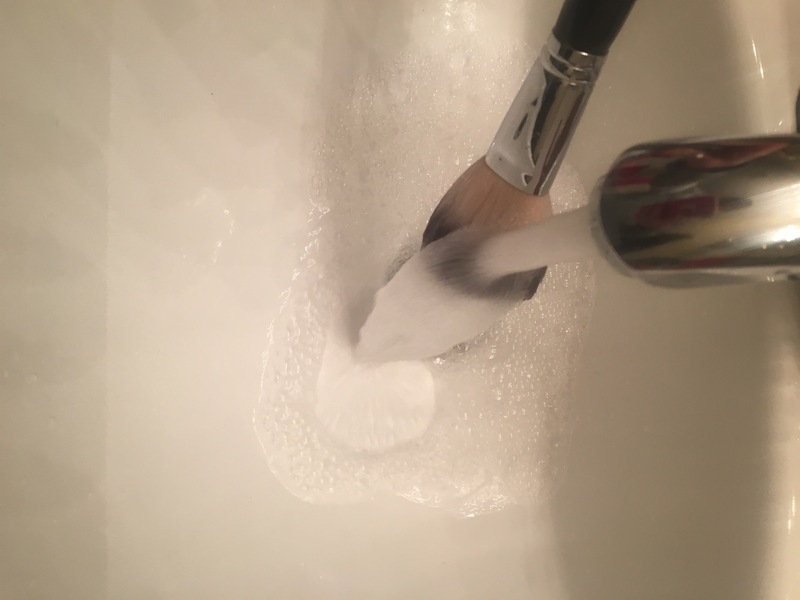 Step 2: grab your brushes and begin. I do one at a time. 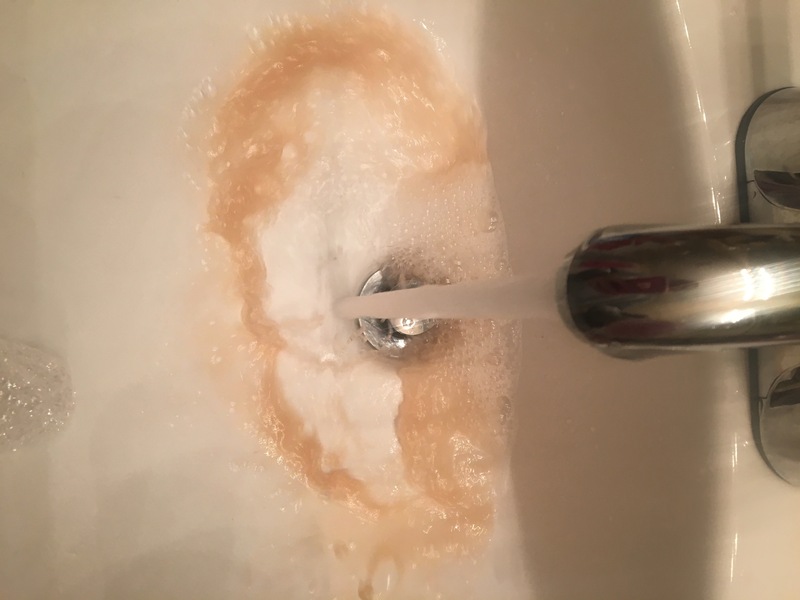 Grab a brush and swirl it around in the soapy water a few times depending on how long it has been since you have cleaned them or if you ever have! 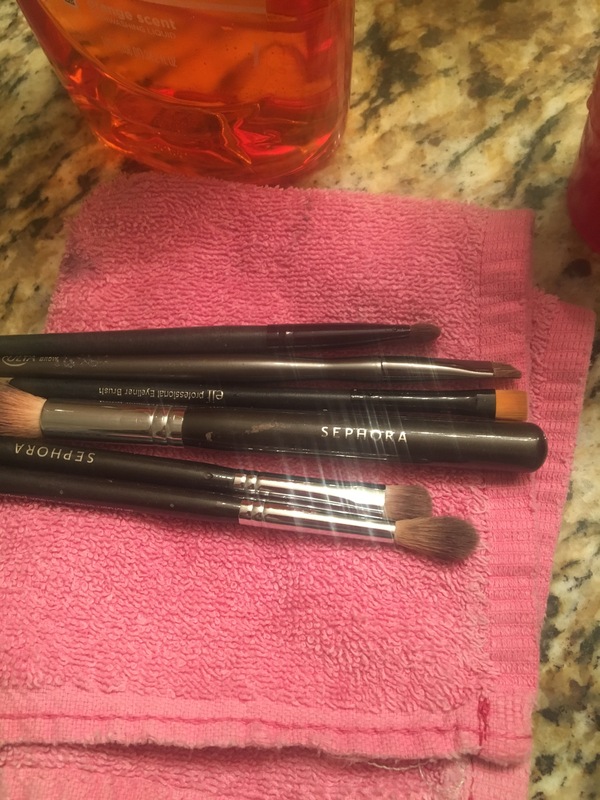 Step 4: squeeze with your fingers to get the water out and then you want to make sure you dry the brushes properly so have them propped up so they dry evenly and straight. I used a q tip box and a toothpaste box (pictured below) and wha la you are done and you can go about your day. This is a very important but often missed beauty tip. 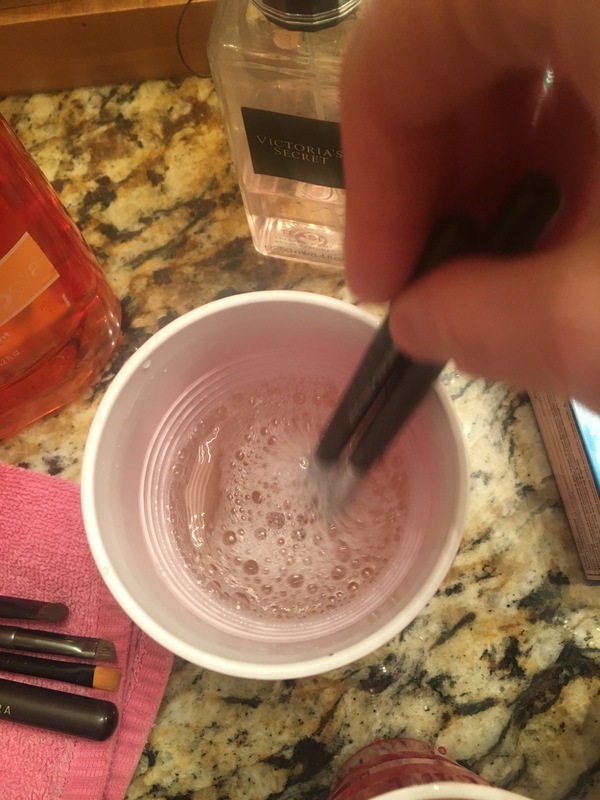 Keep those brushes clean girls! 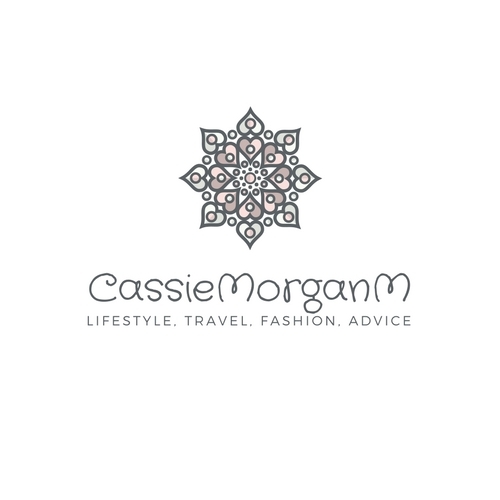 pictured below is my process and I kid you not this took 10 minutes if that! Look at all that old makeup. Bye bye. Your not getting on my face! Easy enough. That’s one creative propping tool I used! 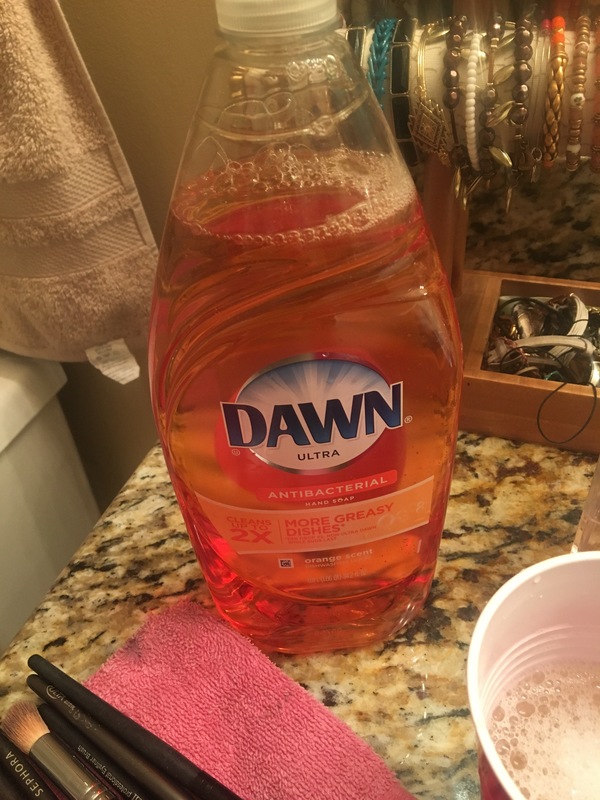 The soap I used. Irrelevant. But maybe not! Previous postCoconut Oil is my Bestfriend! Next postHomemade Sweet Potato Fries. Best decision I’ve made this week.